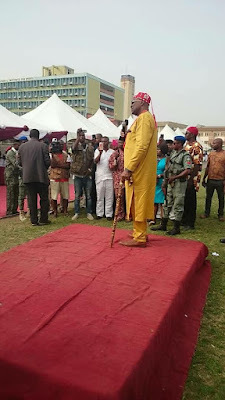 As Chief John Nnia Nwodo of shame and his Ohaneze Ndi Nigeria has gone to Lagos and did a naked dance of madness in the name of addressing Igbo people in Lagos with his boasting that he and his Ohaneze team are proud saboteurs of Biafra restoration struggle and ready to do more as published by Vanguard newspapers, it is time to banish him and his Ohaneze team from Igbo land of Biafra. John Nnia Nwodo has committed taboo against the culture of Igbo land by conspiring with Igbo land governors to assassinate Mazi Nnamdi Kanu, an innocent man and end Biafra restoration struggle as he thought. The evil conspiracy to eliminate Nnamdi Kanu with Operation Python Dance II was what the shameless John Nnia Nwodo was boasting for to mean that he used positive sabotage to avert another civil war in Igbo land. It is good that his Igbo rented audience in Lagos ask John Nwodo who actually called for the war or intended to levy the war which he used sabotage to Biafra restoration struggle to avoid? I want to use this opportunity to make the Igbo people in Lagos who ignorantly gathered for the charade of the shameless John Nwodo to understand that his reason for organizing that useless gathering in Lagos is purely to launder his already soiled image before Igbo people. Do you know that mere promise of Vice president ticket for the party of his choice should he help to quench the raging fire of Biafra restoration struggle made John Nwodo of shame to sacrifice the lives of Igbo youths as he sided with the Aso Rock cabals to deploy the Operation Python Dance II which saw to the killing of hundreds of Igbo Biafra youths in Aba, Obigbo, Umuahia and finally inside the compound of Mazi Nnamdi Kanu who was also taken away with the Eze Isreal Okwu Kanu his father to unknown location by the soldiers invited by John Nwodo and Igbo governors just to kill and destroy. 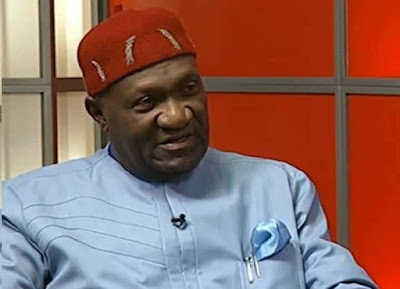 It is important for John Nwodo whose new Igbo land capital has become Lagos to know that no amount of his propaganda and lies before Igbo people in Lagos will make him go unpunished in the hands of Igbo youths who are already looking for soft target to pick him up and pay him back in his own coin over his numerous evils. John Nnia Nwodo has become the greatest tragedy to Igbo race in the 21st century because of what his obnoxious political interest led him into against Igbo people. As John Nwodo is being very proud of having sabotaged Biafra restoration struggle, I hereby declare that John Nwodo will continue to see sabotage all the days of his life until that day when his Hausa/Fulani slave masters will hang him as they hanged Prof Ken Saro Wiwa, Chief M. K. O. Abiola and Sen. Dr Chuba Okadigbo who trusted on them against the wish of Biafra populace. As for Biafra restoration struggle, no man born of a woman can stop the restoration of Biafra because every challenge against the struggle makes IPOB stronger for the next challenge ahead. Can't John Nwodo of shame see for himself that the challenge of the illegal proscription of IPOB peaceful activities and designation of IPOB as terrorist organization has moved IPOB leadership to sue Nigeria government in her own court to explain to the world why IPOB is a terrorist organisation and the lawless Nigerian government is on the run? Can't John Nwodo see that the same proscription of IPOB has made IPOB leadership to drag Nigeria government to African Commission for a redress over the terrorists tag? If John Nwodo of shame thought that the killing of Igbo youths in Aba, Umuahia and Obigbo which heaven and earth know that he masterminded, is enough sabotage to end Biafra restoration struggle, then he is the most stupid man ever born to Igbo land because IPOB members has a mission statement regarded as our slogan in the struggle to restore Biafra sovereignty which is "BIAFRA OR DEATH". Let John Nwodo know that nobody in IPOB including Mazi Nnamdi Kanu himself is ready to regret dying for Biafra restoration because it is better to die for Biafra than to live for Nigeria. 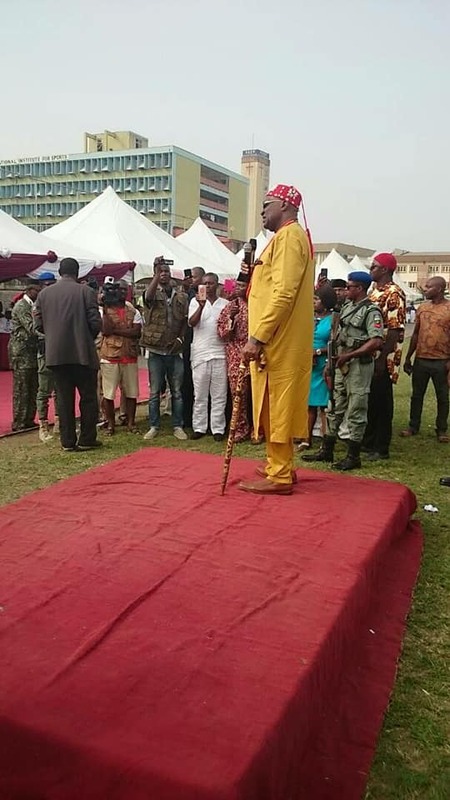 It is on this ground that I am telling John Nwodo who is ready to facilitate the killing of thousands Igbo youths like what happened in Aba and Umuahia in September 2017, in order to avert war in Igbo land to get ready to sabotage Biafra referendum which is coming by the middle of next year because it is another IPOB agenda for Biafra restoration that will attract another sabotage of the useless people like John Nwodo to avert another war in the whole of Biafra land and not just Igbo land this time around. But whatever John Nwodo is doing, let him watch his back as he move because he has committed unforgivable atrocities against Igbo youths, although he know and that was why he to took his charade to Lagos where he felt is safe for him because there is a serious anger of Igbo youths on the horizon descending against him.